Country’s leading car manufacturing company Maruti Suzuki Ciaz has recalled 3796 units of recently launched mid-sized sedan Ciaz from Indian car market due to suspected defect in the clutch system. According to sources of company the problem is reported to take place in trims offered with manual transmission system which are reported to be developed till November 7, 2014. The dealers of company will inform the owners of these trims for inspection and if found necessary the system will be replaced free of cost. 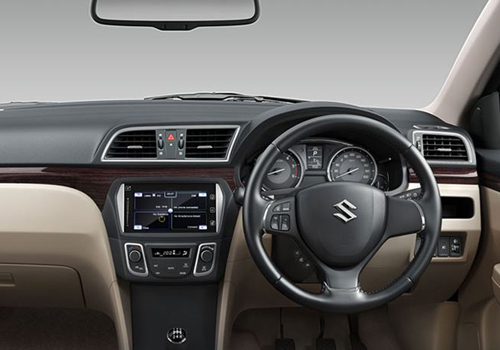 With this to facilitate the owners of Ciaz company has also uploaded the information about defective units on its official website www.marutisuzuki.com, where the owners of Ciaz by inserting the chassis number of their vehicle and know where their car has manufactured during that period or not. The car was launched on October 6, 2014 as replacement of SX4 sedan from Indian car market and succeeded in receiving an overwhelming response from all segments.